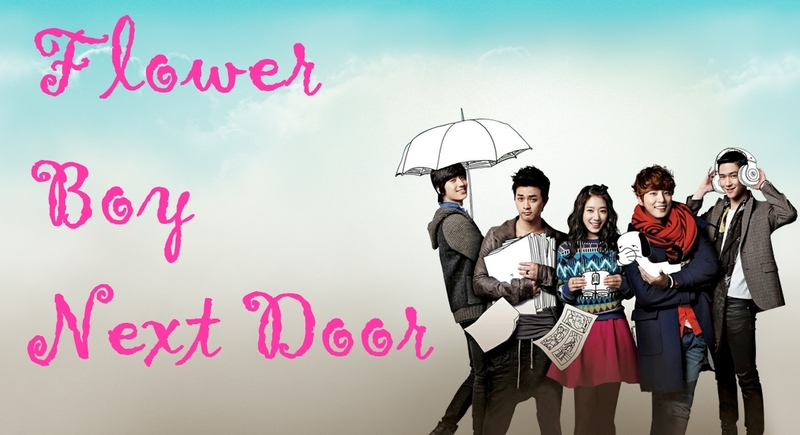 Eagerly anticipated and well worth the wait, tvN’s new series Flower Boy Next Door is filling the big shoes of the previous entries in the Oh Boy series in an admirable and addicting way. A comedy with dramatic elements (in the line of Flower Boy Ramyun Shop), this show is anything but mindlessly light hearted. As of this week we find ourselves at episode 6 of FBND. I have considered my opinions and critical perception of this show for the last three weeks- time to let it out, I don’t think I can wait until the half way point. Without further rambling let’s take a look at our cast, our story, and what it all means Lore in Stone Cities style. Cheers. Dok Mi is the heroine of our story. Our heroine lives her life in self imposed exile in apartment 402, rarely venturing outside and only doing so when she needs to buy basics (like toothpaste). An editor she is working on a book in her spare time. She watches television travel shows and dreams of the outside world. Bullied as a teenager she feels the pain of past experiences strongly, possessed with an overpowering case of social anxiety she faces the world in small tidbits, and always with a desire to return to her safe haven. A child prodigy, Enrique moved to Spain at a young age. He developed his first video game at the age of 10 and continued in the gaming and animation profession throughout his teens, creating blockbusters with his creative mastery. Enrique is energetic and childlike, full of enthusiasm and playfulness. He returns to Korea to lecture- his hidden motivation is to see his first love and act as a cupid. The man in apartment 401, Jin Rak is Dok Mi’s next door neighbor. For the last few years he has left Dok Mi post-it note messages of encouragement on her daily delivery of milk (she has always assumed the delivery man placed the notes). Loving Dok Mi from afar, Jin Rak begins a web-toon that focuses on a character based on her life. Shy, with a strong sense of moral behavior, Jin Rak builds the girl in 402 up in his mind to be a paragon of virtue. 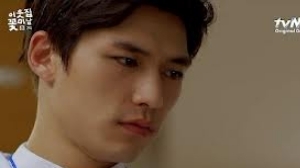 As a roommate of Jin Rak, Dong Hoon is the second resident of apartment 401. A goofy, superficial player, Dong Hoon can see nothing in the hermit girl next door or his roommate’s obsession with her. Dok Mi’s former high school BFF, Do Hwi turned against her friend for the sake of popularity and was largely to blame for Dok Mi’s social anxiety. Crushing on Jin Rak, Do Hwi reappears in Dok Mi’s life in an effort to get close to the man in 401. 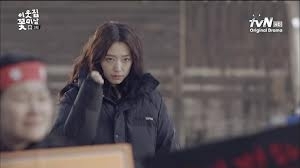 Comically bad, Do Hwi is the villainess in the flower boy apartment complex. The new guy in the complex, Watanabe is a Japanese chef that has moved to Korea to learn the regional cuisine. 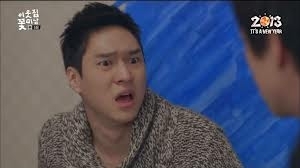 A funny sidekick for the Dong Hoon / Jin Rak pairing, this character brings a new perspective via his cultural misunderstandings and good natured actions. Enrique’s first love and his older brother, respectively, this pairing is the perfect of the perfect. Attractive and successful, they are the background characters that keep Enrique painfully reeled into his return trip to Korea. Enrique returns to Korea and declares he is back to play cupid, a statement that leaves us to believe that he probably is looking for love himself. 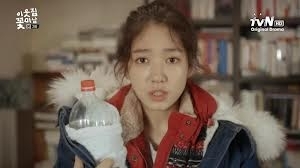 Meanwhile Dok Mi is living her life as a hermit, rarely leaving her apartment. She works as an editor, facilitating her ability to stay at home. She spends her days editing and indulging in unrequited love with the man that lives in the apartment in the next building (their windows face each other) Han Tae Joon. Her neighbor, Jin Rak, watches over her from afar, a web-toon artist he is also largely home bound. 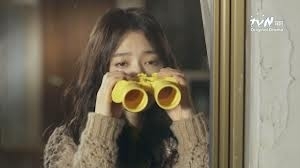 Through a series of comedic events Dok Mi’s peeping on Han Tae Joon is discovered by no less than Tae Joon’s younger brother, Enrique. With all of his bombastic energy Enrique confronts the peeping Tom and discovers the girl in apartment 402. Through a series of subsequent chance encounters Enrique becomes closer to Dok Mi (much to the chagrin of Jin Rak), eventually forming a friendship with her that threatens to transcend her social anxiety and his immature exuberance. The FBND microcosm of a universe (via the lives of the tenants of an apartment complex) recalls the great illustrated novel Building Stories by Chris Ware- only with less horribleness and more flower boys, which is a huge selling point for me (sorry Ware, you rocked, but not like this). I am loving this show thus far, for more reasons than I can probably ramble on about. Hell, let’s give it a shot; I can probably cover eighty percent of my fan-girling. Firstly, I love the fact they have fluid momentum between the dramatic and the funny. Shows can struggle with this, especially when they are billed one way or another. FBND gives us great context to the emotional challenges in our characters lives, and plays out their growth and inner turmoil with the right mixture of comedy and drama. In my drama watching experience I have found such a well balanced show hard to find, I rejoice in the fact that thus far I am not disappointed. Secondly, addressing the real problem of social anxiety due to bullying is admirable. Social anxiety is something I myself have faced (in my younger years school sent me into a panic attack of no return. Now, for some reason, I cannot shut up). Social pressure and social bullying can hit a kid in their vulnerable years hard. I applaud this show for inferring how that pain can follow an adult and have resonance long after the school years are over. After all, don’t we all carry a little bit of high school around with us, consciously or unconsciously? While not played for laughs yet not played for sorrow, FBND shows social anxiety as a painful barrier that can possibly be broken. I really applaud this story for showing what such anxiety can do to a person, never more exemplified than by the confining life of an apartment (as defined by social norms) and the absolute paradise of a home (as defined by the socially anxious). In a way I feel for both- and remember switching sides in a similar battle of emotional comfort. 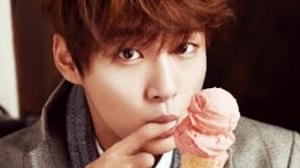 Thirdly, the characters are complimentary- which is to be expected from a drama airing in the flower boy series. While we have our leads our supporting cast is not left behind. A solid character building effort is given to our cast, with the absolute dependency that they grow with each other. And this is what I love about the flower boy series thus far. Assembled family fighting! Lastly, I love the episode to episode themes that do not stray from supporting the main idea, a sign that this story is well thought out with a set trajectory. While we have the laughs interspersed with the deeply emotional back ground stories we do not loose sight of the goal. Too often I start a story, relish in its early goals and story lines and then find myself in a place that I think is completely illogical given the early context of the plot. I have yet to ever say this about a flower boy drama. For a series aimed at the teen market the writing and plot lines could not be executed in a more adult way. So there you have it. If you have not tuned in please do. Drama Fever is streaming subtitled episodes. I hope you enjoy- and please let me know what you think. Cheers. I feel like all I can say is, “Yes!” 😀 Because I totally agree. It’s amazing how well done each of the Oh!Boy dramas has been, and how uniquely they’ve told their story. And it appears like FBND is well on the way to being their third charm. Another source for FBND! Awesome. I am about to watch episode 7 on Drama Fever (thankful for their quick subbbing) and I cannot wait to see what happens. I Loove this drama. Every character is unique and interesting. I just really curious about Oh Jin Rak’s past. Why did he change his name? I also have this thought. There’s a flashback from the first time he moved in. He looks so stylish with sunglasses and fashionable coat. 😀 Even though he’s not a chaebol, I think he used to be very rich. Did you watch episode 7? The mystery deepens…I am not quite sure who Jin Rak is? !